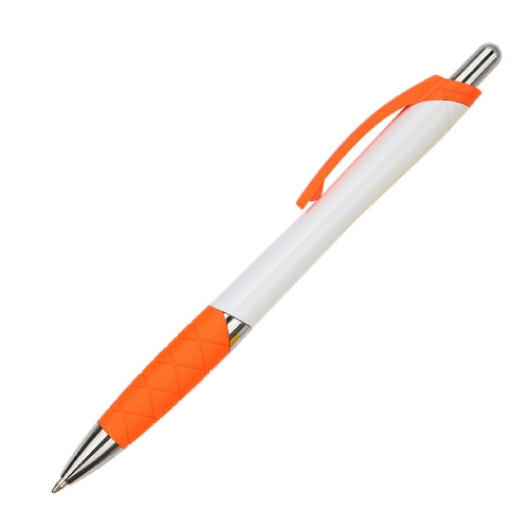 An eye-catching plastic pen with a unique patterned grip. 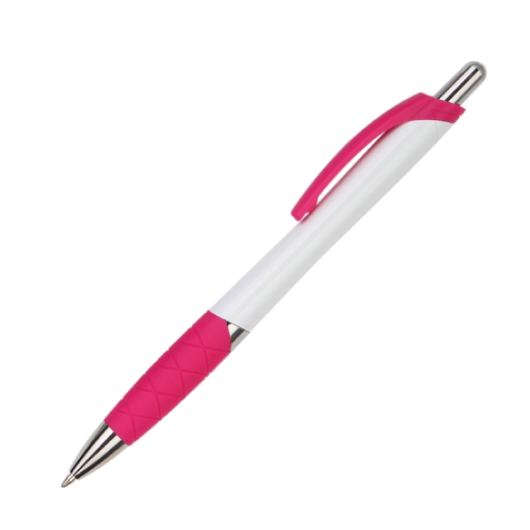 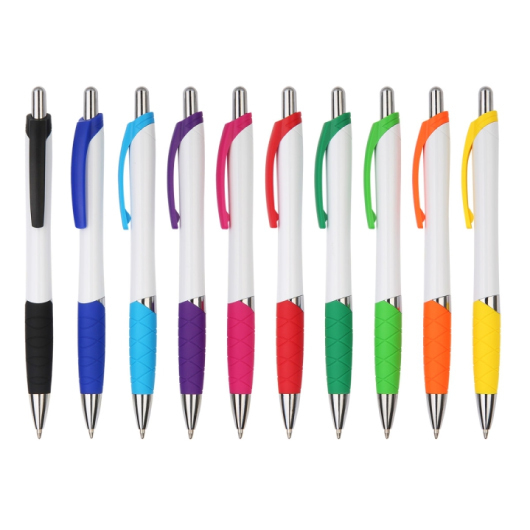 Featuring a fun, colourful criss cross grip these pens are great for any promotion. They have a solid white barrel with a coloured grip as well as shiny chrome plated trim and an X-20 slim ink refill.